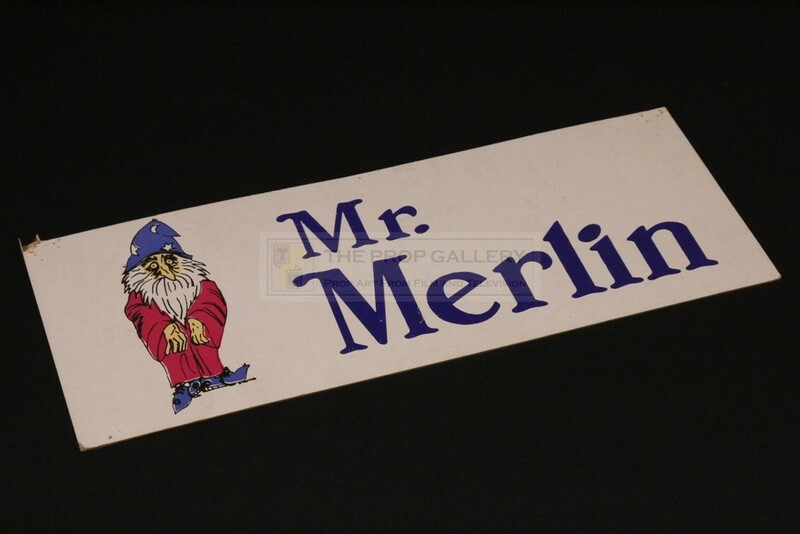 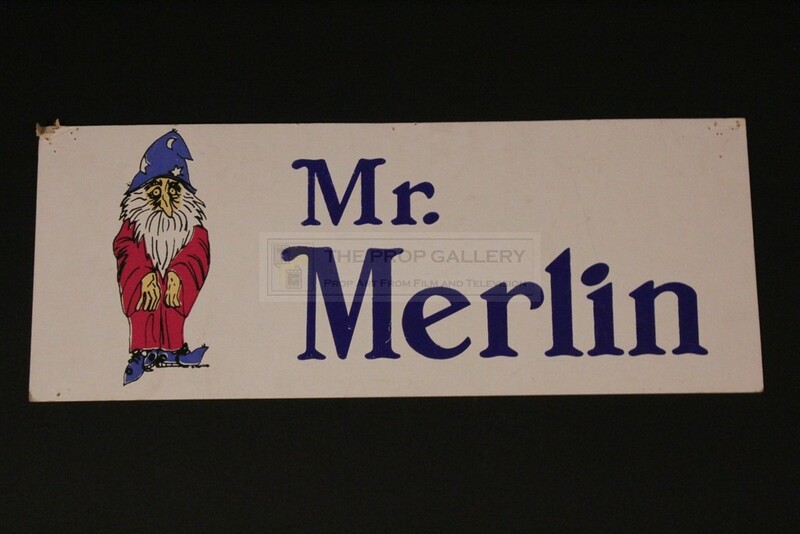 An original crew parking pass the production of Mr. Merlin, the 1981 American sitcom starring Barnard Hughes. Parking passes such as this were issued to crew members for use during the production of the series, printed on thick card the pass features the Mr. Merlin logo and an illustration of a wizard. 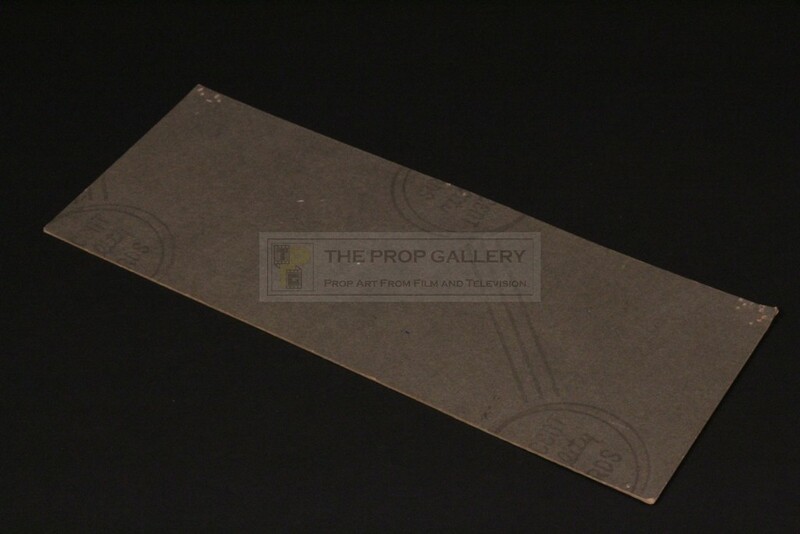 The pass measures approximately 14" x 5.5" and remains in good condition with some pin holes to the corners and minor edge and surface wear, overall fine.